Creating a hip-hop-centric end of the year list always gives me a bit of a challenge. For one thing, almost 20 years later, our post-Golden Era musical landscape has shifted dramatically — and understandably so. As we look forward to entering 2015, more producers and emcees have shifted their focus from reverberating the throwback sounds of yesterday to launching the future the sounds of tomorrow. But don’t get it twisted. The classic sound is still relevant. The universal boom-bap of the East Coast still lives through dusty turntables everywhere with a deluxe reissue of Illmatic, and a new collabo from DJ Premier and Royce Da 5’9. Dilated Peoples and Blu dropped some solid West Coast gems, while the Souls of Mischief continued to prove themselves as the quintessential Bay Area Hip-Hop quartet. Still, classics aside, I think a perfectly balanced hip-hop scene contains a delicate parity of the old and the new. This year, we witnessed J. Cole’s latest album substantiate this claim, while continuing to set the precedent for rap’s up-and-coming Y generation. We also had our share of more experimental, risk-taking ventures. 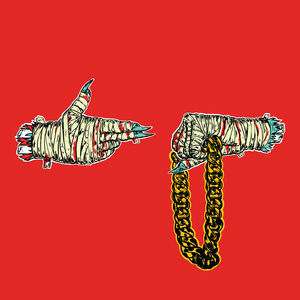 Think, You’re Dead!, Flying Lotus’s frenetic, jazz-infused overstimulation of the senses, and of course, who could forget, Run the Jewels 2, the unapologetically facetious second offering from one of hip-hop’s most explosive duos. Looking back at it, hip-hop in 2014 really was unique in its diversity of sound, and if there’s one thing we should take away from these selections, it’s that the sounds of the yesterday and tomorrow are complementary, rather than opposing forces. With that being said, here are my favorite albums of the 2014. 1. Flying Lotus, You’re Dead! Flying Lotus’s music is never just simply music. It’s more of an interactive mixed media collage influenced by Fly Lo’s own affinity for film, animation and video games (FlyLo FM on GTA V is worthy of its own review). He’s come a long way since his 2006 debut, 1983, but the underlying theme is still the same. On You’re Dead!, the Coltrane descendent continues to construct a joyfully turbulent composition of free-form jazz, glitchy, hip-hop-inspired electronic beats and bold graphics. The result is a near flawless audiovisual experience. Freddie Gibbs & Madlib may seem like an unlikely duo on the surface. But take a closer listen to their latest full-length collaboration, and you’ll find that Lib’s soulful loops provide the perfect backdrop to Gibbs’ rugged street narratives. It reminds me of a grittier version of Jaylib’s Champion Sound, Lib’s legendary collabo with Jay Dee. The planet, Cadillactica, is one that is free of creative restraints and constructed entirely by Big K.R.I.T. in his latest intergalactic concept album. Following the much lauded Live From the Underground, Cadillactica is a solid display of the Mississippi rapper’s effortless lyricism, coupled with a Southern-drenched spaced-out theme, which suggests orbits of influence from fellow Southern hip-hop colleagues, OutKast. Consistence in quality can often trump risk-taking, if done with as much precision and skill as possessed by omnipresent Los Angeles emcee, Johnson Barnes, known affectionately to fans as Blu. I only mention this because the biggest criticism aimed towards Good to Be Home has more to do with quantity, rather than quality. All criticism aside, the album is dripping with soul samples masterfully flipped by producer, Bombay, and propped with an impressive list of feature artists like MED, Oh No and The Alchemist. Good to Be Home is a solid ode to the West Coast that manages to remain focused, despite its lengthiness. Grimy, raucous, provocative and caustic. These are adjectives that could could either completely deter or, in our case, compel a listener. But for El-P and Killer Mike, it just works. Mike’s hard-edged lyrical flow merges tongue-and-cheek cynicism and bold social commentary, and El-P’s trademark head-nodding (or head-banging), grimy beats hit hard enough to provide a more than appropriate sonic backdrop. Emcees that produce their own music (and inversely, producers who double as emcees), create music with a special kind of chemistry, one formed of their own unique organic talents. One such emcee is Curtis Cross, otherwise known as Black Milk. The Detroit-based musician is a skilled lyricist with an impeccable hand at production, and his sixth studio album is a glowing display of such. 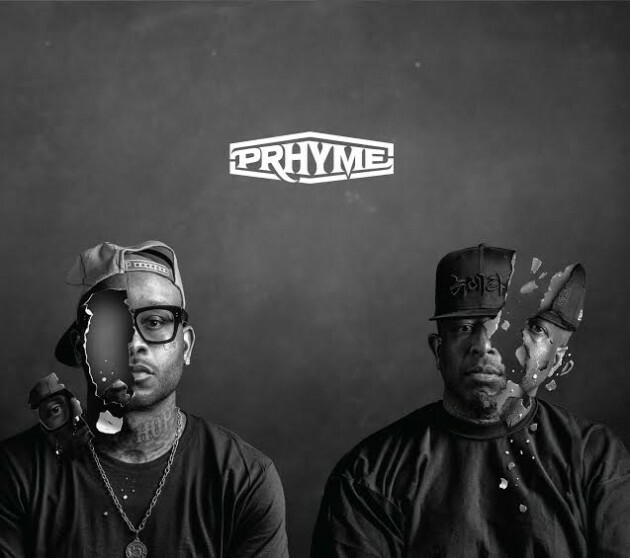 The album, which borrows it’s title from a Curtis Mayfield joint, is a dark, introspective and overall smooth listen, with cameos from the likes of Blu, Pete Rock and Bun B.
PRhyme (pronounced “prime”) is the latest project from DJ Premier and Royce Da 5’9. Royce’s hard-hitting flow laid over Premier’s beats prove in itself to be a sure shot formula to success. However, the album is far from formulaic. Premo used samples composed exclusively by Adrian Younge’s catalog, lending a unique twist to an otherwise purely classic East Coast sound. If there’s anyone who can reinvent classic Hip-Hop artistry into a deeply cinematic experience, it’s LA-based producer and composer, Adrian Younge. His latest collaboration with the legendary Souls of Mischief is an intricate and fluid concept album, with a minimal, yet diverse cast of supporting characters that include the likes of A Tribe Called Quest’s Ali Shaheed Muhammad, Busta Rhymes and Scarub of the Living Legends. While the lack of outright promotion for this album may have left fans speculating about J. Cole’s musical presence, he made his political stance in the media known, releasing the emotionally- charged single, “Be Free,” and actively joining protestors in Ferguson and New York. With that in mind, it should come as no surprise that Cole’s third studio album is an exercise in both social and self awareness. Forest Hills Drive is a meditation on Cole’s experiences from childhood to adolescence to the present state of things, which he freely laments in a way that’s both nostalgic and accessible. 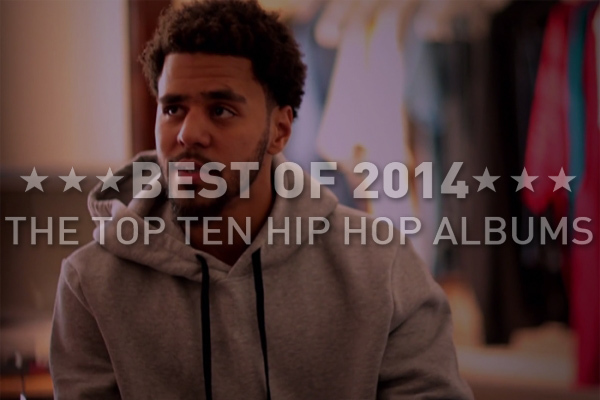 What will be in store for hip-hop in 2015? Time can only tell, but judging from what I’ve heard this year, the future already look’s pretty promising.